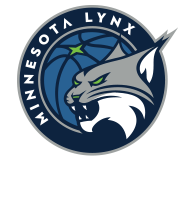 The Minnesota Lynx look to bounce back when they take on the Los Angeles Sparks in Game 2 of the WNBA Finals on Tuesday night at Williams Arena in Minneapolis. The Sparks hold a 1-0 series lead over the Lynx following Sunday’s 85-84 victory in Game 1. 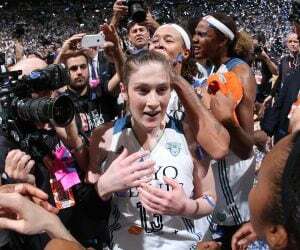 Tuesday’s game will be the final game in Minnesota before the Lynx and Sparks head back to Los Angeles for Game 3. Sunday’s Game 1 of the Finals delivered the best overnight rating ever. The 0.6 overnight rating is the best ever for a Game 1 on the ESPN networks and resulted in a +20 percent increase from last year’s Game 1. Minnesota holds a record of 26-6 overall in home playoff games coming into Tuesday’s game. Los Angeles edged past Minnesota 85-84 on Sunday at Williams Arena to take Game 1. 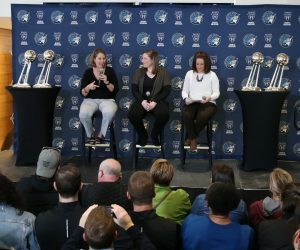 In that game, Maya Moore had 27 points and four rebounds, Sylvia Fowles had 22 points, 13 rebounds and three blocks and Seimone Augustus had 19 points, eight rebounds and four assists to lead the Lynx. 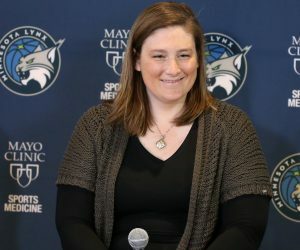 Jia Perkins added six points, five rebounds, three assists and two steals off the bench and Lindsay Whalen finished with five points and six assists. For the Sparks, Chelsea Gray had 27 points and six assists, Odyssey Sims had 16 points and five assists and Candace Parker had 15 points, 12 rebounds and four assists. Nneka Ogqumike added 11 points and six rebounds and Alana Beard had 10 points. 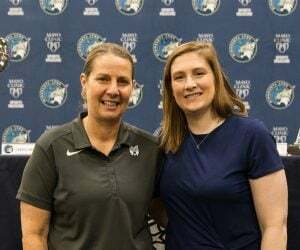 One matchup to keep an eye on in Tuesday’s Game 2 will come at the point guard position between Minnesota’s Lindsay Whalen and Los Angeles’ Chelsea Gray. Whalen is coming off of a nice game in Game 1 and she is averaging six points, five assists and two rebounds per game so far in the playoffs this year. Gray is coming off of scoring a career-high 27 points in Game 1 against the Lynx. So far this postseason, she is averaging 17.3 points, 6.5 assists and 4.3 rebounds per game.